Four days of intense battle ended in the Casino Velden last night with a new European Main Event Champion crowned, Phillip Hartmann capturing the €150,000 top prize in a final table shootout which saw Intertops Poker qualifier Peter Gal finish in 9th spot. The €625,000 prizefund saw 28 players leaving the ‘Monte Carlo of the Alps’ better off, Hungarian youngster Gal himself more than doubling his (admittedly short lifetime) earnings with a €15,600 payday – a great return on his Intertops Poker satellite entry of $100. With Kings Casino owner Leon Tsoukernik taking down the Super High Roller, and many other championships and side events decided over the 2 weeks of play, our roving reporter Rikard Aberg caught up with Niklas Sattler, the Poker Manager for Casino Austria - which owns twelve casinos around the country. The title dreams of Intertops Poker qualifier Peter Gal ended early this afternoon when he bust the Velden ‘EM Main Event in 9th spot, an excellent run worth €15,500 for the young Hungarian player, who couldn’t quite make his final table short stack count for more. 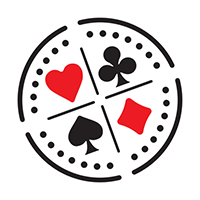 …but unfortunately it was shove or fold for Peter sitting on only 12 BB’s, taking his chances with the first decent hand he found, pushing 10 BB with AJ, but unable to win the flip when an opponent called with pocket 10’s. Understandably disappointed immediately after busting out, Peter nevertheless put on a brave face for his exit interview with Rikard, explaining that his satellite entry via Intertops Poker only cost him $100, so all-in-all a huge profit for the youngster! Play continues down to a winner this evening in Austria’s premier Alpine poker destination, €150,000 up top for the eventual victor, while fellow Intertops Poker qualifier Akash Mazumdar will be back in action in the €330 side event. 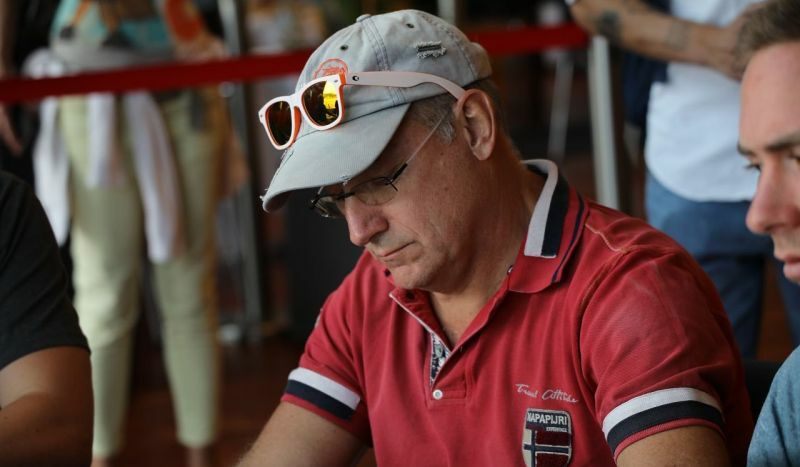 The Velden ‘EM Main Event final table has been set, and Intertops Poker qualifier Peter Gal has made it through to the final nine, shortest-stacked but now guaranteed a minimum payday of €15,600, and still in with a chance of the €150,000. A late-night battle at the Casino Velden on the shores of Lake Wörthersee in the beautiful Austrian Alps saw Germany’s Jonas Kornwitter bubble the final table, but walk off with €13,400 as well-earned compensation for his fine run. Austria’s Daniel Prior leads the final nine when they restart tomorrow afternoon, but it’s still all to play for – an early double-up similar to today’s great start for Gal likely to put him right back in the mix. On-site reporter Rikard Aberg will be bringing you interviews with Gal, and also Intertops Poker Manager Hjalmar Lethin, as play heads into the 4th and final day – a new Velden ‘EM European Champion due to be crowned tomorrow night. Will it be Gal? Follow all the action right here! While Peter Gal was making it to the Main Event final table, fellow Intertops Poker qualifier Akash Mazumdar was fighting his way into day 2 of the €330 side event running alongside the European Championship title event in Casino Velden. Peter Gal’s deep run in the Velden ‘EM Main Event continues, the young Hungarian who qualified through Intertops Poker making a tilt at the final table – although he’ll have to step up a gear, currently sitting on about 1.4million, the average stack closer to 2 million chips. Rikard Aberg looks set to have a long night ahead of him following the action, so he took some time out for a chat with Hjalmar Lethin, the Intertops Poker Manager who has been on hand in the lakeside Casino Velden to look after Gal – reporting that Gal’s fellow qualifier Akash busted the Main but is now doing well in the €330 side-event. Saunas? Swimming in the crystal-clear mountain lake before breakfast? Late starts for the players? Modern-day live poker! Rikard brings you all the news and updates as we head into level 22. Intertops Poker qualifier Peter Gal had to survive two all-ins for his tournament life in the Velden ‘EM Main Event this afternoon, and fortunately for the young Hungarian winning both of them has taken him into the final 17 vying for the European Championship title and a share of the €770,000 prizefund. For those following at work and unable to watch Rikard’s illuminating interviews with the Velden hopefuls just now, Peter rivered a king to keep his dreams alive and then picked up aces a little later in the big blind, with an opponent holding pocket queens the unfortunate victim. Roving interview Rikard Aberg dragged himself away from the beautiful lakeside views to catch up with Peter – now only 5 spots away from a very healthy min. 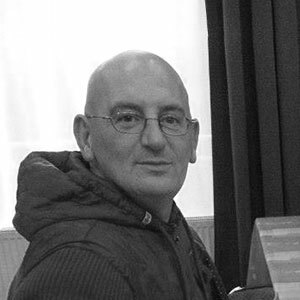 cash of €6800, the overall €2700 buy-in for Peter of course covered by his winning online package. Day 3 saw Peter recovering from a bad final level last night to dispose of one of the short stacks this afternoon to rise above 500,000 chips, telling Rikard how the first hand of the day saw him dealt pocket aces, calling a short-stack’s all-in and holding up against Q9 off. “I’m trying to be really careful ‘cos there are many short-stacks at the table,” but admitting that “of course” 1st prize was still the aim. PokerTube and Rikard will be around all day to keep you updated on Peter’s progress, so watch this spot! The Casino Velden in Austria has had many famous names pass through its lakeside doors over the years, but in poker terms Antanas ‘Tony G’ Guoga is up there with the biggest, and he absolutely loves the Monte Carlo of the Alps. The outspoken poker pro turned politician is always good for a few words, as Rikard Aberg found out during a break from the €25k Super High Roller, in which he would come 4th for €125,000 – behind the ‘7 bullets-fired’ winner Leon Tsoukernik who eventually walked off with the €370,000 first prize. The chase for the Velden EM European Poker Championship title is well underway now, and if Intertops Poker qualifier Akash Mandavia is happy with his performance, then fellow satellite winner Peter Gal from Hungary must be ecstatic – turning around a so-so session half way through day 1 as described below into a chip-leading 440k stack, well clear of the opposition! “I’ve had a good night’s rest and I’m ready to go at it”, Akash told Rikard, overcoming a bit of jetlag and quickly getting into “the zone” – his 50BB keeping him well in the hunt with a few good hand histories in the interview for the fans at home. With Akash’s girlfriend Tamara apparently having a blast at the lakeside alpine venue, Akash gets back to the serious work at hand in a couple of hours… PokerTube bringing you the best of the Velden EM action as it happens. Rikard catches up with Peter Gal who starts the day as chip leader. Leon Tsoukernik defeated Manig Loeser in the heads-up to win €25,000 + 750 Super High Roller event of the European Poker Championship at Casino Velden and €370,000. One of the biggest names to appear again this year at Casino Velden for the Velden EM championships is Leon Tsoukernik, the multi-millionaire Kings Casino owner responsible for the inclusion of the €25k Super High Roller which is currently playing down to a late-night winner. PokerTube will also be bringing you the finale of the Super High Roller and interviews with the two Intertops qualifiers on how their Main Event adventures have been going… watch this space. The €2,500 buy-in Main Event saw many of the players starting to make moves early on, 195 hopefuls already bought in to the European Championship title event on the shores of Lake Worthersee, although that number will rise by close of registration tomorrow. …with fellow satellite winner Peter Gal also still in the mix, the young Hungarian not quite so happy, but still sitting on a perfectly respectable 80BB stack. ….and hoping to keep himself in that role by the end of day’s play after level 8 is finished. The Velden EM poker festival on the shores of Lake Worthersee in the Austrian Alps has seen a host of big names making it through day one of the €25k buy-in Super High Roller, Thomas Mühlocker leading the 20 day one survivors with 1.3 million in chips, but Maxi Lehmanski taking over on day two as they fought down to just 13 players, the likes of Tony G, Manig Loeser, and online MTT crusher Niklas ‘Lena900’ Astedt breathing heavily down his neck. Kings Casino boss Leon Tsoukernik looks like becoming a permanent feature in the Monte Carlo of the Alps, the Russian-born Czech millionaire pictured below with Tony G ‘enjoying’ his 2nd annual Austrian trip by firing multiple bullets yesterday to no avail, but his 7th (!) bullet in total has seen him survive day two so far, although he’ll need a 3rd place finish or higher to make some money! According to roving reporter and interviewer Rikard Aberg, Maxi Lehmanski is now in the lead ahead of Thomas Mühlocker - with Niklas Astedt in third place at the moment and ’Beethoven’ in fourth. 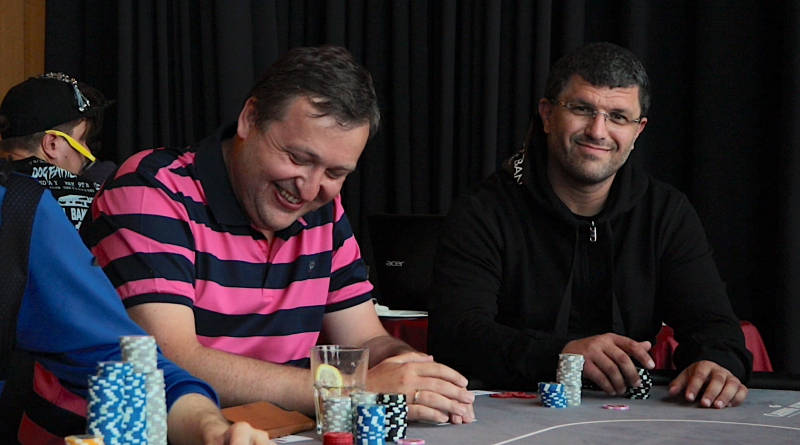 Tony G, Leon Tsoukernik and Manig Loeser are all around average. Niki ’KaiBuxxe/RealAndyBeal’ Jedlicka, and ’Erik Schniedel’ a.k.a. something else, are both short. It’s not just the High Roller which is attracting attention at Casino Velden, however, today seeing the €2,500 buy-in Main Event starting, all eyes on last year’s winner Simon Boss, as well as Intertops Poker qualifiers Akash Mazumdar, from Washington DC, and Peter Gal from Hungary – all chasing the title and a big chunk of the estimated €500,000 guaranteed prizepool on offer. The main has 150 entrants so far, but registration is open until end of level 9 so that is likely to climb much higher and both Akash Mazumdar and Peter Gal are sitting on starting stacks. PokerTube will be bringing you coverage of all the best of the action, and with the European Ladies Championship, and the €5k High Roller still to come, it’s sure to be an interesting week in Velden! Rikard is already on the trail of the big names, Ole Schemion, online MTT beast Niklas ‘Lena900’ Astedt, Benny Spindler and the deadly highstakes duo of poker pro turned politician Tony G and Kings Casino boss Leon Tsoukernik all in his sights as play got underway in Casino Velden on the shores of the beautiful Lake Wörthersee. Manig Loeser too it would seem, although this definitely isn’t how he usually looks! The €25k buy-in High Roller tournament, expected to have a very healthy 50 or so runners, will be the main focus for these big boys of the European scene of course, but as Rikard point out there is much more besides on the menu for the mass of poker players and fans descending on the ‘Monte Carlo of the Austrian Alps’ this week. Rikard and PokerTube will be bringing you all the best of the Velden action, including how the Intertops Poker qualifiers get on under the watchful eye of world-travelling pro and site ambassador Tim O’Keefe, as well as the Ladies Championship, the 6 European Poker Championship titles up for grabs and the all-important €2,500 buy-in Main Event which kicks off on July 26th. The ‘Monte Carlo of the Austrian Alps’ is as good a place as any to continue the summer of poker now that Las Vegas has ended its World Series shindig, and Intertops Poker are back in Velden with their annual Poker’EM festival, including the European Poker Championships, running from July 18th to 29th and boasting a guaranteed €770,000 prizefund! The incredible lakeside venue of Casino Velden will be hosting the 12-day festival, with 6 European Poker Championship titles up for grabs, 11 fantastic side-events arranged and a ‘Cash Game Championship’ designed to fill in all the gaps in play – PokerTube’s intrepid interviewer Rikard Aberg as always making the trip to bring you all the best of the action. The €2,500 buy-in Main Event kicks off on 26th July, last year’s victor Simon Boss taking the €120,000 top prize back to Switzerland, with the rest of the €590,000 prizefund split among a host of different nationalities – and this year expected to see even more players and money. Before the biggie, of course, there are a host of smaller events, starting with the €250 buy-in Welcome Poker EM event to get players in the mood, followed by the Showdown am Worthersee, a €500 buy-in Turbo classic. …but naturally there is something on the Velden schedule for everyone – events running from as little as €74, and the Intertops Poker satellites as ever feeding into every tournament. The World Series is history for this year at least, so roll on Velden and the best of European poker action, and watch out for PokerTube’s detailed coverage throughout.